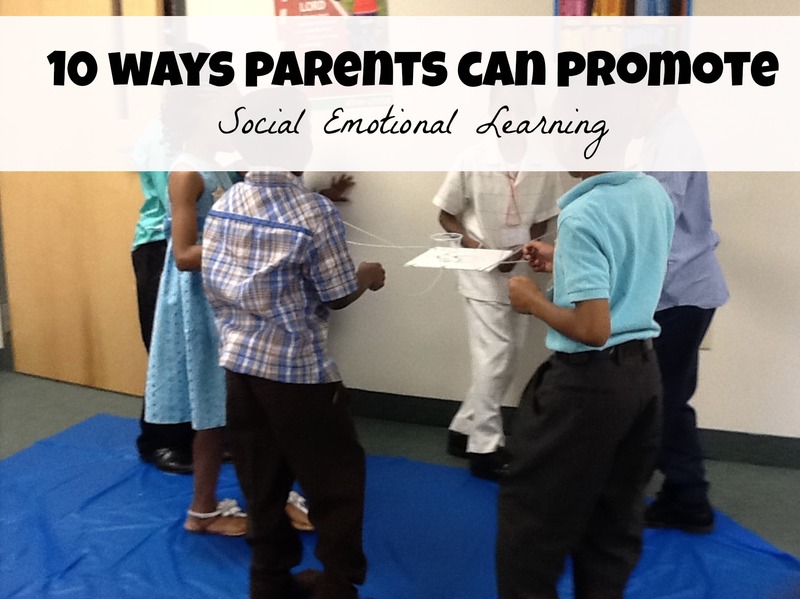 How can Home school Parents Promote Social Emotional Learning ? Homeschooling is a movement in some homes where parents feel inclined to teach their children at home. There are some advantages and disadvantages to making this decision, but the advantage that I love the most is that it gives children the opportunity to get one-on-one learning that they may not receive otherwise. Because in a typical home school class the size is smaller than a traditional classroom. Generally parents are also able to teach academic lessons in less the amount of time. Homeschooling also allows for their parent-teacher to teach them according to their interest and cultivate different unique learning experiences tailored just for student. The greatest criticism home schools receive from the general public is regarding socialization. The socialization aspect is debatable, but overall children in home school settings are often given a chance to learn how to socialize on various levels–field trips, home, playgrounds, extracurricular activities, church groups, social clubs, etc. It also gives the parent an opportunity to dialog with their child about social issues as they occur. For instance, A couple of months ago while at a local science museum a little told my daughter that she couldn’t play with one of the exhibits because she didn’t like her. Of course, this was a new experience for my homeschooled kindergartener. The words from the little girl bothered her and she came to me for guidance. I told my daughter that she could continue to play with the exhibit if she so desired or she could move on to another exhibit. The situation gave me a chance to explain to her, in the moment, that although everyone will not like her or want to play with her, it’s OK. I was able to reassure her and affirm her that is isn’t worth it to try to convenience a person you’re cool, just move on if necessary. Learning how to understand and manage our emotions. It’s learning how to make friends and how to show people that we care about them. It’s learning how to work in a team and collaborate well. It’s learning how to make healthy, responsible decisions, both short and long term. In a home school environment a parent has the responsibility to address social emotional learning immediately. Leading by example, parents should show their child/student how to relate to others. Thus it is imperative that we possess the 5 characteristics of Social Emotional Learning which is mentioned in the video from Edutopia (self-motivation, self-awareness, social awareness, relationship skills, and responsible decision-making) in a healthy balanced environment in front of our children. This lesson will often began with how we allow our children to relate to us and their siblings. Additionally, home school students should also be given opportunity to test these skills in environments outside of the home as well. Earlier on a child may need guidance, as I mentioned earlier, but in-time he or she should be able to cope and make decisions alone. As we watch the growth of our children we should encourage them to build a heathy self-image. Playing group activities during playground time.